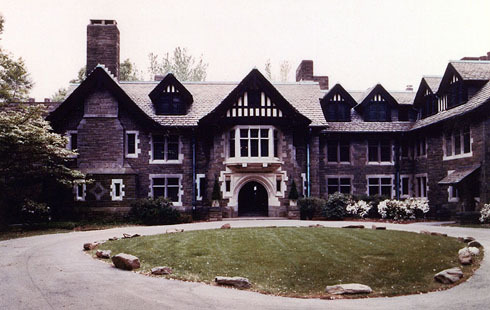 The Tudor-Jacobean family residence of Dr. George Woodword of Chestnut Hill, was designed by the renowned architectural firm of Peabody and Sterns, and completed in 1912. It served as the family residence of Dr. Woodward and his family for nearly 50 years. After a brief period as a religious retreat in the 1960's and 1970's, it was decided to create several individual living residences with the mansion. In 1986, work was begun to design these residences. The maintenance and incorporation of the architectural and design elements throughout the home were of primary importance.